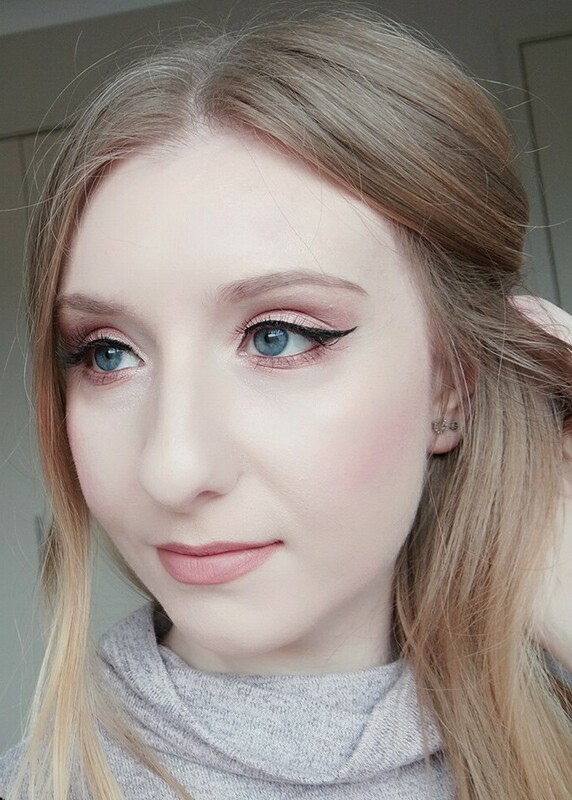 I was scrolling through my foundation reviews and it turns out my very last one was WAY back in September of 2017 (on the much hyped YSL All Hours), so you could say I am well overdue for another one! I like to read into whether or not some products are worth the purchase because this girl simply cannot afford to make it rain on every good looking product she sees. Sometimes they work for me and other times not so much but that is all part of being a beauty blogger so without further ado, here are my thoughts on the NYX Total Control Drop Foundation. From sheer to full, your ideal coverage is just drops away! Fine-tune this velvety, matte foundation with the included dropper. Simply adjust the number of drops until you create the look you're feeling today. Want more coverage? Add more drops! 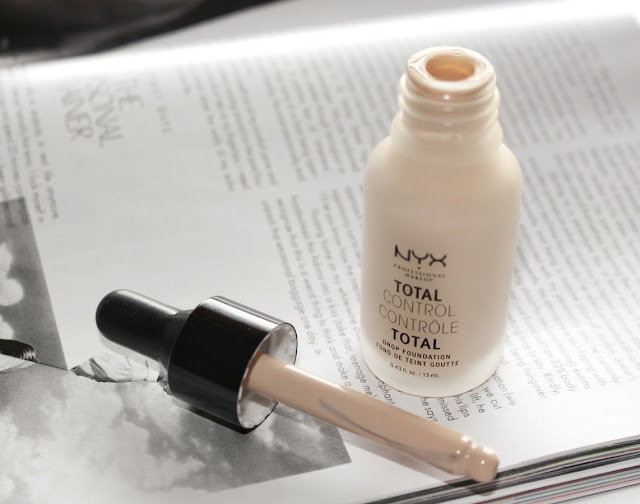 The overall look and feel of this foundation doesn't say drugstore at all - it's very luxe and sleek with the frosted glass bottle compared to their usual plastic squeeze tube foundations. The dropper applicator allows you to control with ease how much product you'd like to use so none of it goes to waste. 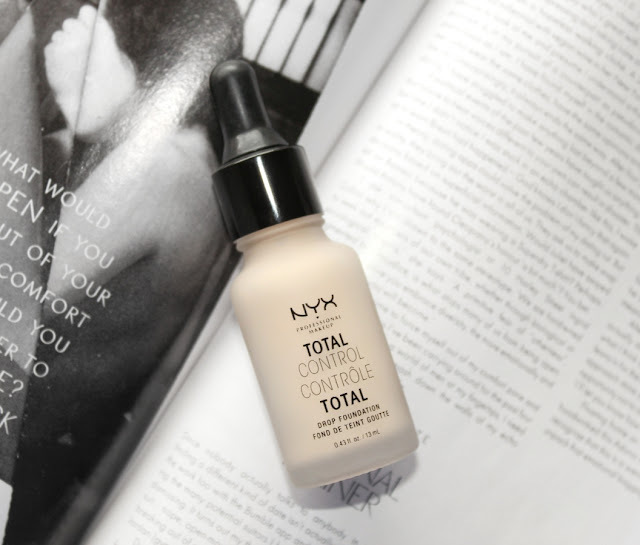 It holds significantly less foundation than your standard 30ml (only 13ml so it's kind of pricey when you think about it!). As described, the formula is indeed velvety-matte and also quite liquidy in consistency with a soft, lightweight feel to it. Although it does have a wet, thin formula, it's definitely not streaky upon application or lacking pigmentation. On the back of the boxed packaging in comes in, there is a guide showing you how many drops are required to achieve light coverage (2+), medium (3+) and for maximum full coverage 4+. If you were using a damp makeup sponge to apply it, you would more than likely need more drops as it will sheer it out (I needed 8 for full coverage and even then I still had to go in with concealer over spots!). Brush or fingers work just as well if not better so it's completely up to you! Very matte and can look powdery so if you have dry skin or prefer a dewy finish, a hydrating glowy primer is the way to go (oh and lots of highlight!). It looks absolutely flawless and airbrushed on my skin. It evens everything out nicely and can look a bit flat but once you've added your blush, highlighter and bronzer it looks ace! I found that it wore pretty average throughout the night on my oily skin, even with the use of a primer and powder. The biggest issue I faced was it creased around my smile lines which tends to be my problem area with most foundations; Perhaps I applied too much or I used the wrong type of primer (a silicone based one might've worked much better). Roughly around the 5 hour mark I noticed that I needed to blot away shine along my t-zone, but after that and a light dusting of face powder my base looked (almost) good as new! If I used this foundation everyday, it would be empty within a month or two and I feel like you're paying more for the packaging than the product itself. Don't get me wrong, it truly is a lovely foundation but it doesn't really do anything revolutionary and $25 for 13ml is quite steep! I think it's a great foundation if you want light coverage and were only wearing it for short term like running errands or catching up with a friend for coffee but on my oily skin, I couldn't get through a full day without having to constantly blot and touch up. I would give this a miss if you have a mature skin type because I can see it settling into lines very easily. I do love how it glides over the skin like silk and the shade range is surprisingly decent considering it's from the drugstore however, I get better results from my Maybelline Fit Me Matte + Poreless and Wet n Wild's Photofocus foundation. 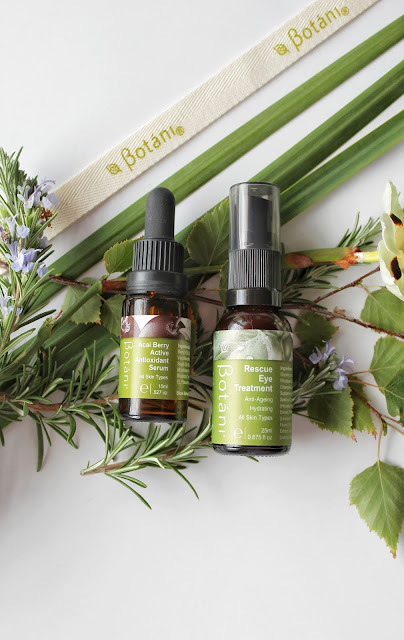 This isn't a bad product at all (it's gotten tonnes of positive reviews!) but for me personally, it's nothing to really rave about unfortunately. Have you tried it? I'd love to hear your opinion on this foundation!